Part of the response area that I work in is a very large Jewish community, complete with some internationally recognized Jewish schools which draw students from all over the world. Yet, it’s not very common at all to look after patients from this community. The main reason for that is the presence of a dedicated group of Jewish volunteers who form the Gateshead Hatzola. This is a service provided to the Jewsih community of Gateshead, by Jewish first responders who obviously have an good knowledge of both the medical and religious requirements for caring for this special part of or population. Now, before I even begin getting into this, I’m going to apologize to my new friends for not knowing nearly as much as I should about their service and the difficulties that come with trying to provide an emergency response whilst remaining in line with their faiths and beliefs. I read a briefing document some years ago which gave an outline of what they could and couldn’t do medically, as well as the limitations they have due to their religion, at certain times of the day, week and year. Anyway, tonight, I responded to a call for a patient in the street. The details of this particular patient are not important for the purposes of this post, as instead I want to write a little about the Hatzola themselves. As I arrived on scene, the patient (who was Jewish) was being cared for by two members of the Hatzola. He was on high flow oxygen, had been made comfortable, was being monitored with a pulse oxymeter and was fully conscious, alert and orientated. I received a quick and comprehensive handover from one of the Hatzola crew and then proceeded with a continuation of their care and assessment whilst I waited for my back up crew to arrive. These chaps are trained by my service up to the level of ‘First person on scene’ with the addition of automated defib capabilities. I was really impressed with their level of knowledge and clinical reasoning and rationale. They had obviously done a thorough assessment before my arrival and it was a valuable piece to add to my assessment process. Fortunately, in this case the patient appeared to be fine, but was taken up to the A&E department to have his mild back pain assessed by the doctors. Once the crew left the scene, I packed my equipment up and walked back to the car. As I was doing this I noticed a gentleman, not of the Jewish faith, take some keys from one of the Hatzola crew and proceed to lift the bags into the car and then lock it up for them, before giving the keys back and telling them if they needed any help again, just to ask. I was then informed that as they were currently partaking in ‘festival’ they are not allowed to touch anything mechanical or electrical, I also think that they aren’t allowed to lift anything heavy. That is why they asked a passer-by to lock up the car for them. Medic999 : “Really, so what if you get another job now? I also asked him how the whole thing works in the community. He explained that when a member of their community falls ill or has an accident or injury, then either someone will phone them directly or will knock on their door. They will then respond in their car (normal car, no markings or lights/sirens) and assess the patient to see if they need the help of the ambulance service. More often than not however, they will transport the patient themselves to the Accident and Emergency department for further care and treatment. Hence the reason why I can only recall twice in 9 years when I have had the opportunity to work alongside them. I would love to learn more about how their service works. I mentioned the blog to them following the job tonight, and they said they were going to have a look at it, so if you are reading this, how about either writing something in the comments about your organisation or even better send me an email at mglencorse@yahoo.co.uk and I could put it up as a guest post so that all of my other readers could learn about the great job you do. It was a pleasure working alongside you two tonight. « Driving through the streets…. Interesting post. I am part of Hatzola Stamford Hill, working in an advisory capacity, and have great respect for the work they do. The festival we have just completed is our New Year, and this heralds the start of a number of festivals in the coming weeks. During this time, as you quite rightly said in your post, we are not allowed to drive, nor to use electricity. 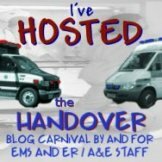 Ask The Insomniac’s Guide to Ambulances any questions you have – he’s very knowledgeable and has you on his blogroll! hiya thanks for the positive feedback, it’s always good to get some good peer reviews. Is there ever any restrictions on the interventions you can perform for patients with different beliefs. For example, Female of the Muslim faith having chest pain do you perform a 12 lead? Or do other religious communities have their own first responders like the Hatzola?